Shopping for triathletes, runners, power lifters and other super active friends and relatives can be a challenge. So we’re thinking that due to their pedal to the metal lifestyle of improving race times and constantly pushing to get stronger, they might really appreciate a gift that encourages a little self-care in between workouts. Because, after all, it takes smart recovery to get stronger and faster. Show me an athlete and I’ll show you a bath-lover. Hot baths are high on the list of recovery activities prescribed by trainers to soothe tired muscles and relax the body. 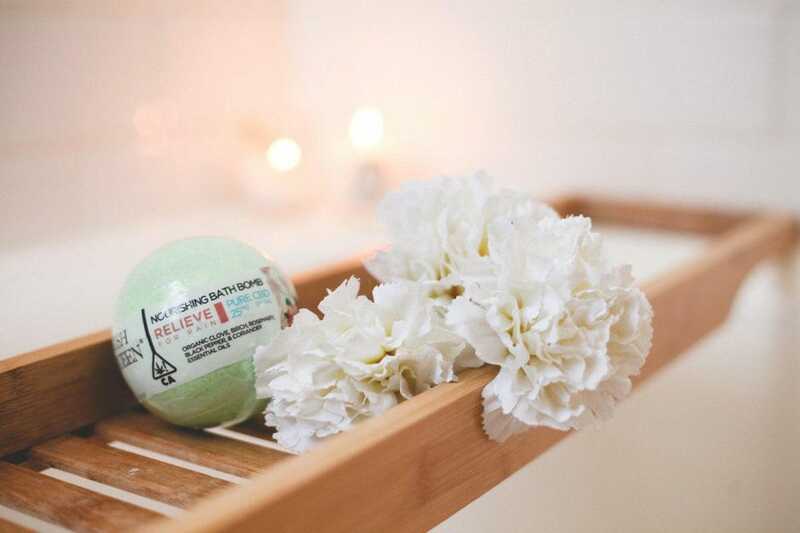 Your athlete may be perfectly content with a bag of epsom salt from the local drugstore, but for a special holiday treat help up their bath game with a CBD- and essential oil-infused Relieve bath bomb from Kush Queen.